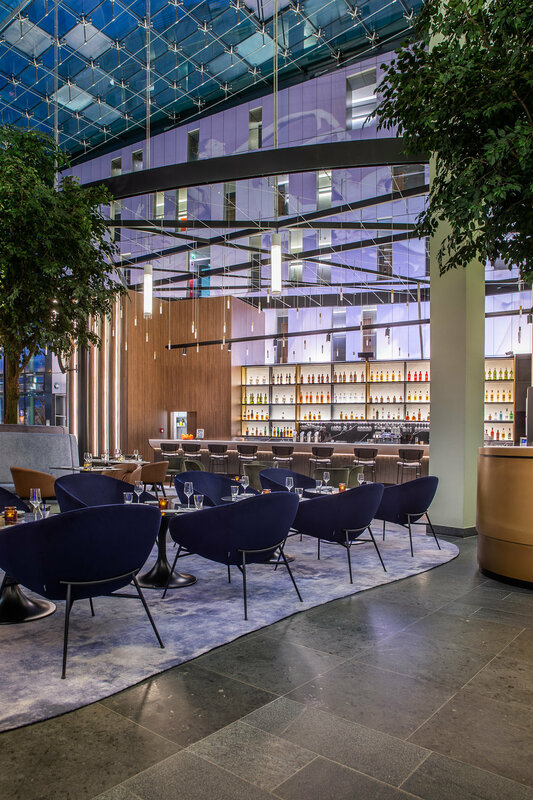 This project consists of a redesign and lighting technology upgrade to the Radisson Blu Hotel reception and event space restaurant in Cologne. 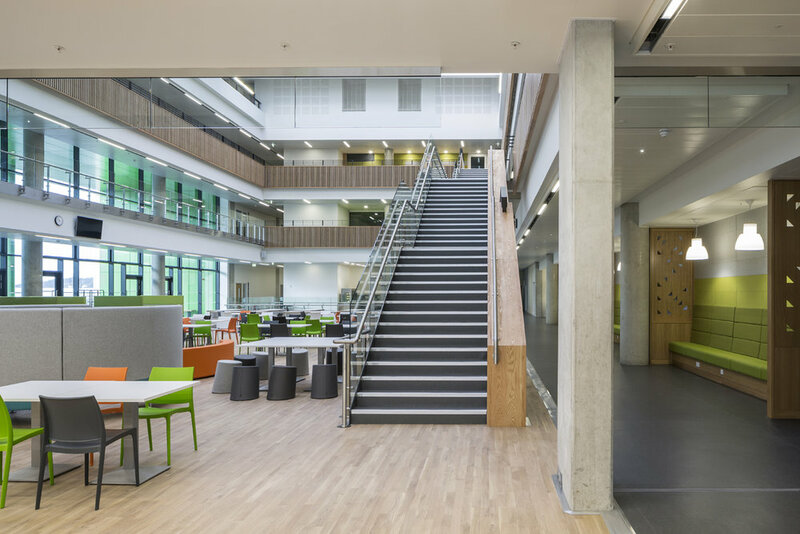 Working closely with Iliard interior design and Chandler KBS project management, we developed a fully LED lighting scheme, replacing existing lighting and introducing new integrated lighting details. 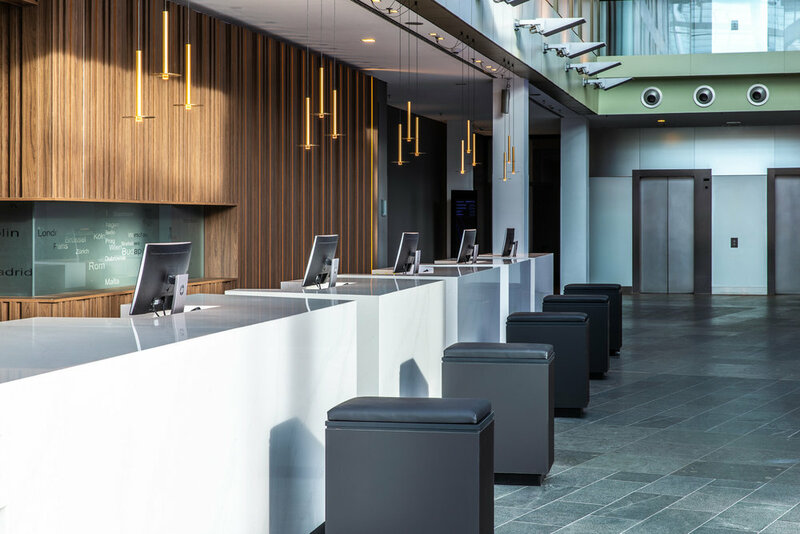 These include LED linear solutions integrated into new timber work around each end of the bar and behind reception desks. 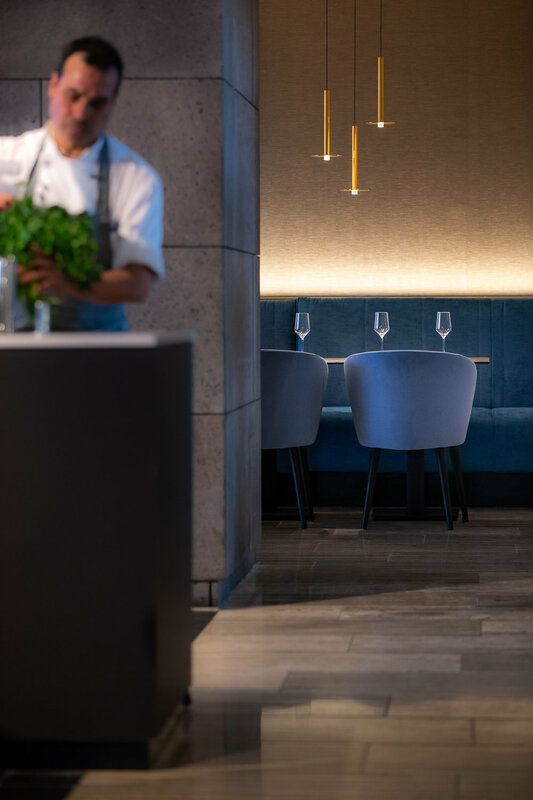 We developed a catenary mesh fixed to the existing bar structure for a field of small LED pendants to hang over the bar, improving the intimacy of the space. We also created new crisp custom pendants needing to incorporate emergency lighting, covering the majority of the atrium floor. In the restaurant, existing downlights were updated with LED technology, and pendants were introduced over tables. New LED linear lighting was introduced to banquet seating, providing wall washing to express the boundaries of the room. The new lighting was integrated as far as possible with the existing dated lighting control system, while the new bar elements were set on a stand-alone DALI system. 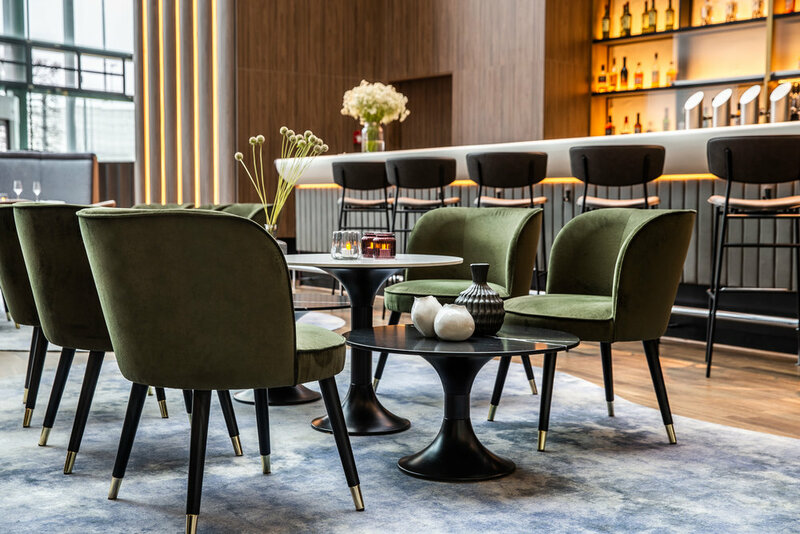 Overall, the design has created a distinct modernisation of the property, which has been well received by hotel staff and Radisson brand management.